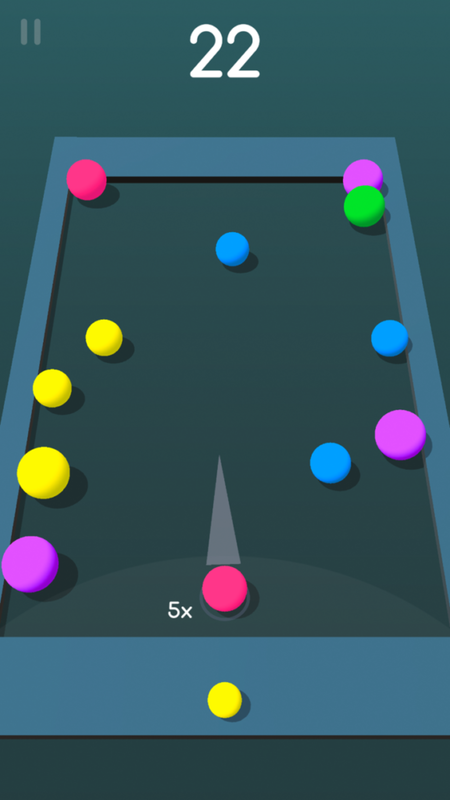 Home #ADDICTIVE Fuse Ballz – Is this actually the first game from Ketchapp…? 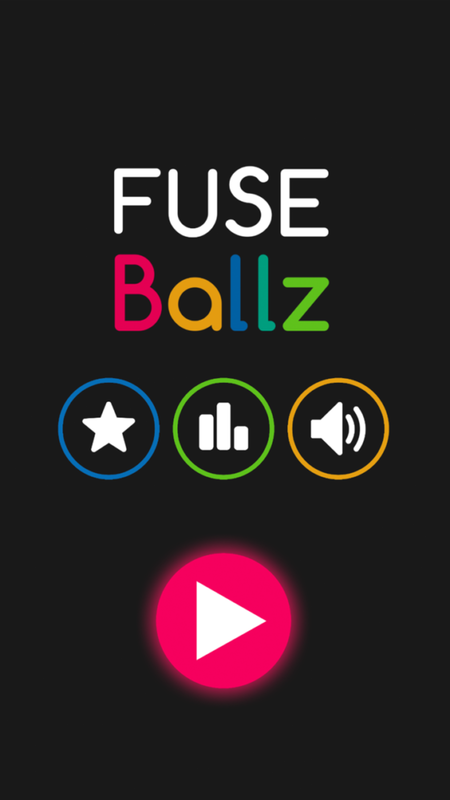 Fuse Ballz – Is this actually the first game from Ketchapp…? 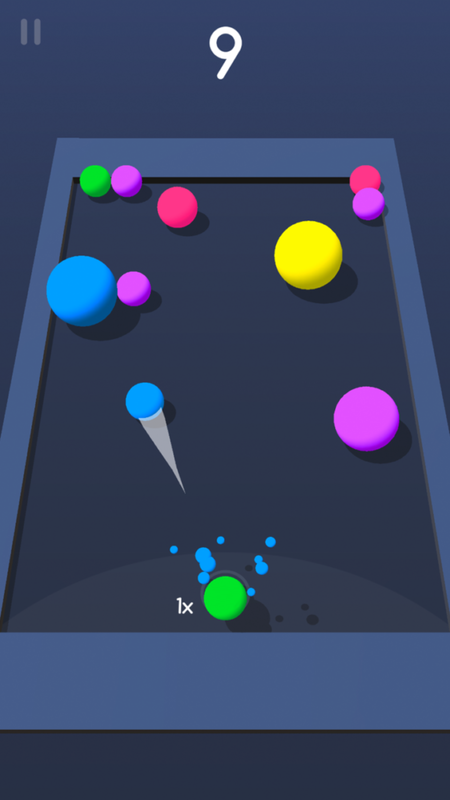 Set on a stage that looks like a modified version of the basic Roll-a-Ball Tutorial on Unity, your mission in Fuse Ballz is to fire colored balls around a stage in order to fuse same colored balls together. Played using 5 different colored balls (Red, Yellow, Green, Blue, and Purple) plus one special (Black Ball) that fuses with the first ball it collides with before exploding(!) 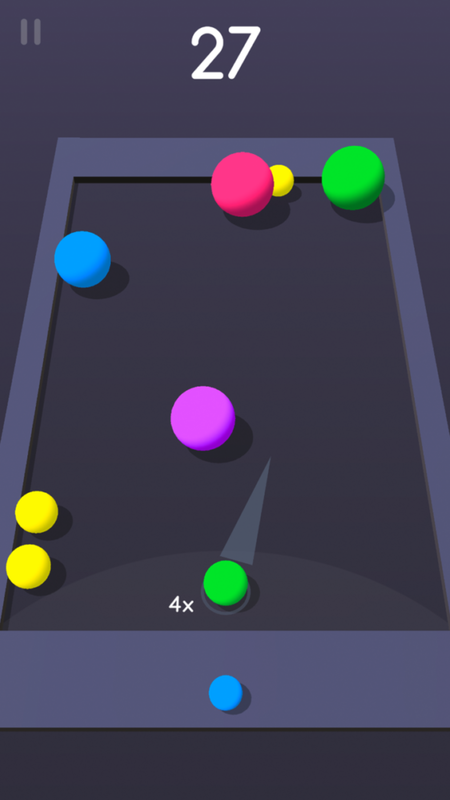 Fuse Ballz is one of the trickiest games from Ketchapp we’ve ever played. 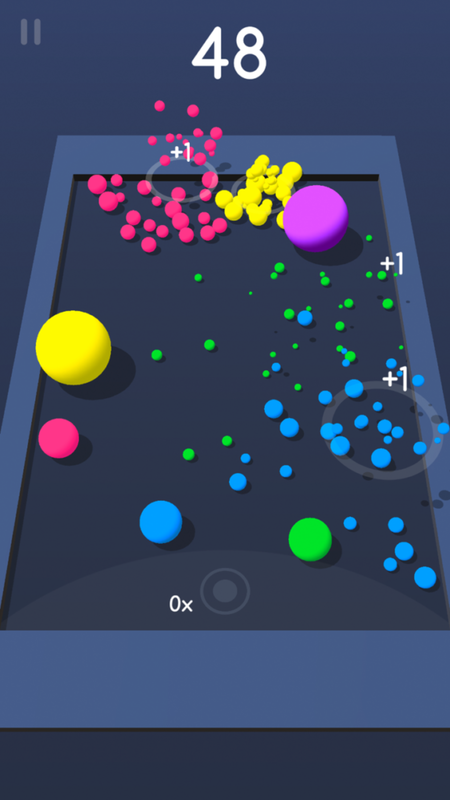 On fusing 5 same colored balls together, you will receive +5 Points to add to your score, +3 Balls to shoot around the stage, and 2 balls that remain on the stage after the 5 balls explode. At first this may seem fine, however, after thinking about things for a moment you’ll soon realize that (3 + 2 = 5) meaning you aren’t actually gaining any balls! This would be alright if it weren’t for the black ball that fuses / explodes the first ball it collides with. If you are skilled enough to always have it collide with the smallest sized ball, that would only be -1 ball from the total number of balls you have to play with. Unfortunately, not everyone is this skilled and will often lose 3-4 balls in a single shot, making the game virtually impossible to play.